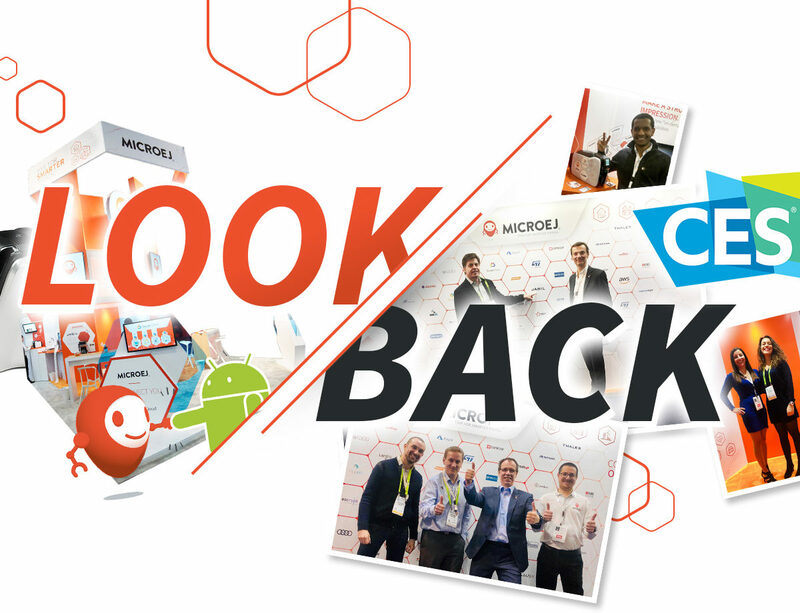 Home > News > MicroEJ: Looking back at CES 2019 in Las Vegas! CES is the world’s gathering place for all those who thrive on the business of innovation and disruptive technologies. It has served as the proving ground for innovators and breakthrough technologies for 50 years — the global stage where next-generation innovations are introduced to the marketplace. This exhibition, which brings together thousands of international companies and investors, is a place for industry and consumer announcements, previews of new hardware and software products and demonstrations of technological innovations. For the 4th consecutive year, we participated in CES alongside of other start-ups and established companies. All of them came to present products and prototypes that appeared more surprising than each other. Consumer Electronics Show is now a misnomer. It is more THE technology show of the year. 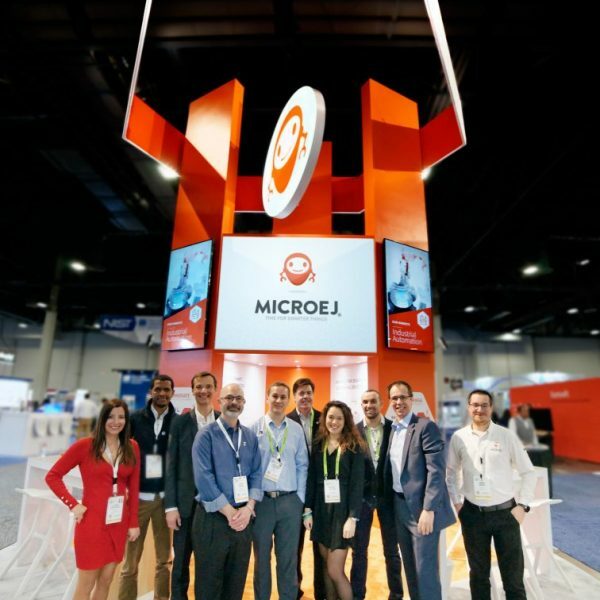 MicroEJ comes back each year because it is the ideal place to share experiences and meet CxO levels of large companies developing IoT or other electronic products. This is the only show in the world where you can have a coffee in the morning with Jabil executives, lunch with a Google VP Sales, after-work chat with Amazon and even more, have dinner with a journalist from the Echos. What more could you ask for? For MicroEJ, it the ideal place to reveal to the world, key milestones combined with hard work that took place since the last CES. 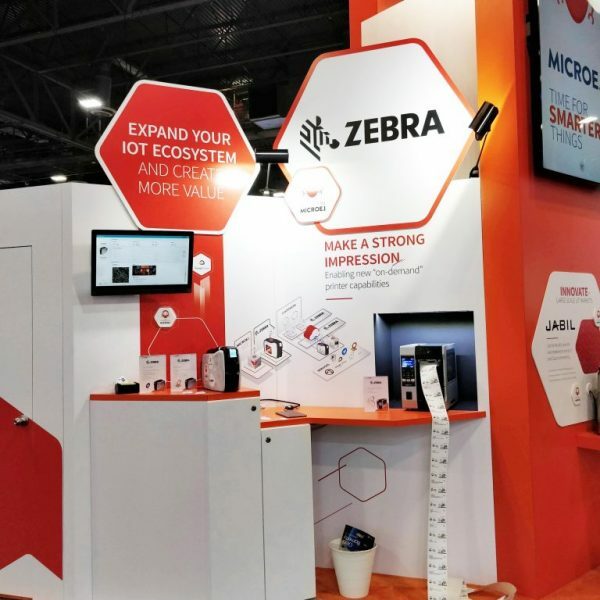 For CES 2019, we were pleased to exhibit 2 existing printers from Zebra Technologies, a global leader in UHF RFID print and encode technologies. The various demos (Maps, Twitter, Label and Card printers) developed by MicroEJ engineers in partnership with Zebra made a strong impression during the show. Zebra was able to create its own application store with MicroEJ Studio with an easy and fast integration to their existing printers. Thanks to this new service, Zebra can develop applications to customize printers while end users can develop their own applications. Discover the twitter card demo and the map demo in video. MicroEJ new partner, Landis+Gyr, the leading global provider of integrated energy management solutions for the utility sector, exhibited on our booth. Microej software provides Landis+Gyr a new way to think & design smart-meters the way people see & use their smartphone. MicroEJ provides Landis+Gyr a standard platform easily customizable, allowing the creation of new software applications that improve energy management for utilities and end-users. The goal for Landis+Gyr is to delegate the customization and modification of the smart-meter to third parties. All this while reducing costs and risks. 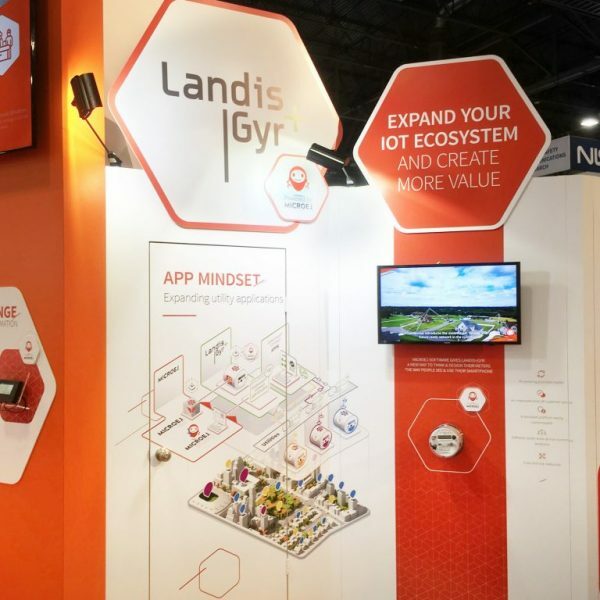 Landis+Gyr introduced Gridstream® Connect Apps applications into its Gridstream Connect IoT solution during CES. Read the press release here. 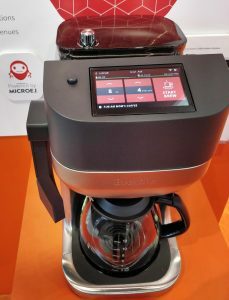 During the exhibition, Jabil presented its Breville coffee machine with a great UI developed in a few weeks with MicroEJ. It proves how quick it is to develop a rich graphical user interface with MicroEJ platform and how easy it is to connect to the cloud. Jabil already has hardware platforms and now extends the concept to software platforms to accelerate the time-to- market while reducing costs, developing a range of functionality and increasing customer value through the addition of applications. 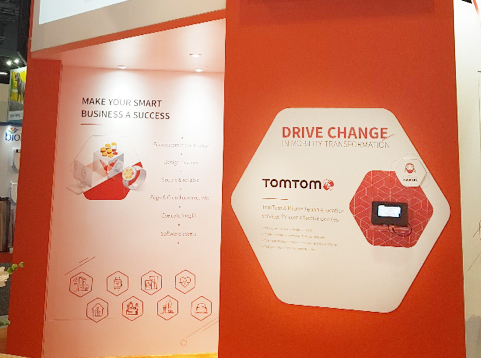 TomTom was on our booth because their goal is to approach new markets in accordance with their new strategic initiatives. 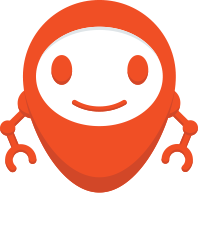 MicroEJ is the right solution for them to enter new markets such as wearable, trackers etc.. In summary, this CES was once again a great success for our team and our company. Many people came to our booth to discover our demonstrations and the products of our customers who are “powered by MicroEJ”. We were lucky to have Olivier Ezratty on our stand, who every year makes a detailed report from the CES. We also received important French delegations (BPI France, SNCF, several members of the government). Arnaud Le Roux and Olivier Dassonville were able to share their feedback regarding MicroEJ on social networks and in their various writings! In conclusion, please discover in videos our presence at the show during CES 2019.